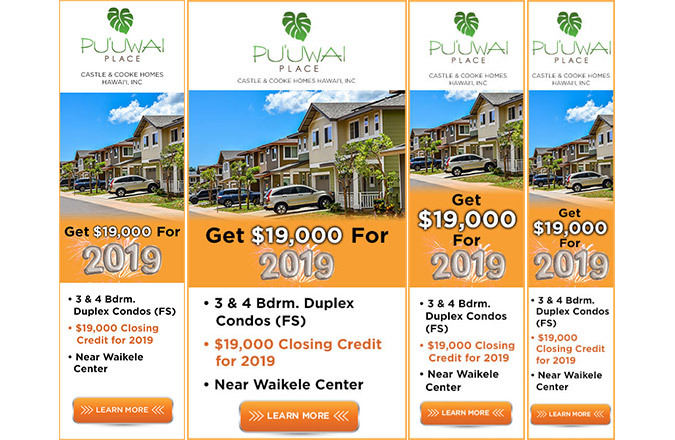 For the new year, Castle & Cooke Hawaii tasked Team Vision Marketing to develop a new look for their digital marketing campaign promoting their new $19,000 Closing Credit promotion for Pu‘uwai Place, their newest residential real estate community. 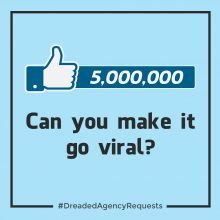 The featured digital marketing campaign below includes attention-grabbing Facebook and Instagram add. 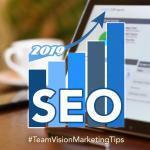 Google Ads banner ads and a Google retargeting campaign. 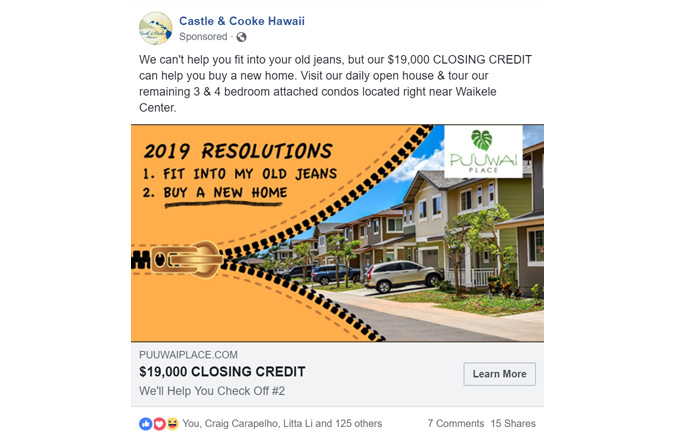 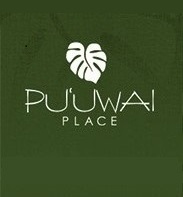 The social media ad’s unique design features an unzipping zipper revealing the beautiful streetscape photograph of the Pu’uwai Place community, which parallels the “2019 Resolutions” of fitting into old jeans and buying a brand new home. 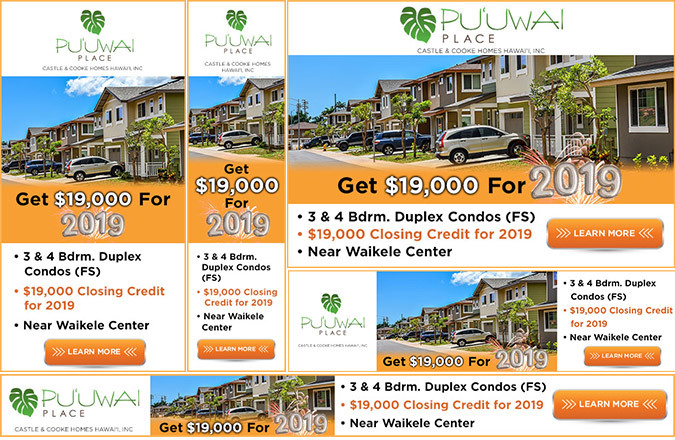 The banner ad design features the Pu‘uwai Place streetscape with the eye-catching “Get $19,000 for 2019” headline callouts and bullet points listing key Pu‘uwai Place home features. 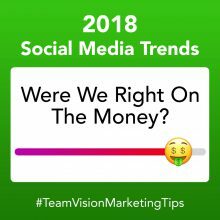 In addition to the paid advertising program on Facebook, Instagram, and Google Ads, other elements of this integrated marketing campaign included a consumer enewsletter, broker enewsletter and an organic social media campaigns on Facebook, Twitter and Instagram. 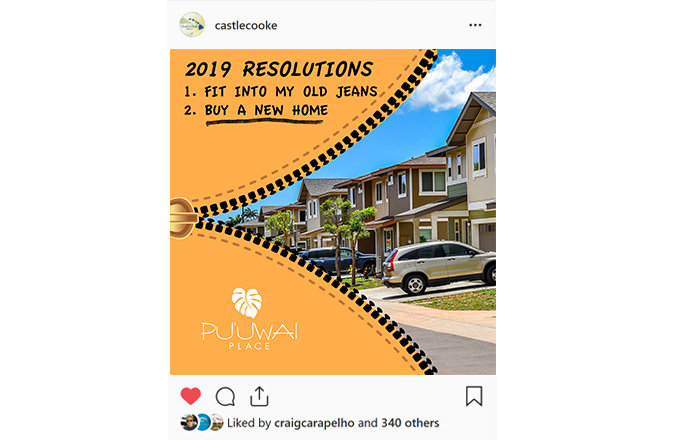 Browse through other creative work we have done for Castle & Cooke Hawaii, including photo shoots, print advertising, sales offices, events, website design, package design, and online marketing. 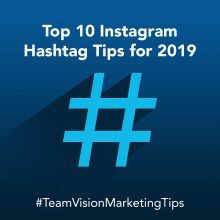 Hear from Bruce Barrett, Executive V.P. 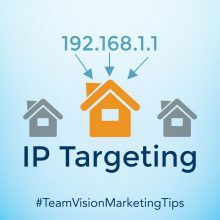 of Castle & Cooke Hawaii, on his experience working with Team Vision Marketing for all of his integrated marketing needs.